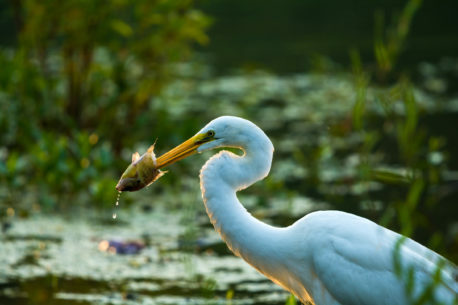 The Great Egret caught this fish so fast, it cut it right in half. He ate the front half of the fish first and then picked up the bottom half and ate that. This was taken just after he raised up from catching it.